Becoming a Network Marketing Pro is really no different than any other profession. You need to master the Network Marketing Skills to become the best professional you can. Eric Worre who teaches Network Marketers how to become professionals believes there are 7 crucial skills that need to be mastered. So many times, because people think of their home business as just a hobby they don’t believe there are any skills that have to be learned and perfected. The other side of the coin is there are those people who won’t do anything until they believe they have mastered these skills. These skills are mastered by DOING not by reading about them and not taking ACTION! If you want to become more than just a hobbyist at your business then you need to bridge the gap between minimal skills to professional Network Marketing Skills. So here’s what you should do at this point. Sit down and look at these 7 Required Network Marketing Skills and rate yourself honestly 1 – 10, 10 being you are an expert. Remember these are the Network Marketing Basics and as you grow you will be learning more and more skills. I’ve added some links to courses that I think are some of the best for learning these skills. Rate yourself on well you are able to locate and talk to people about your product and opportunity. You need to be able to not only locate a person but be able to qualify that prospect to determine whether or not he or she is really a fit for your business. You need to develop the skill to understand who is the right people to work with for you and your team. Rate yourself on your skill in making the invite. It’s great to have skill 1, but if you can’t get anyone to watch a presentation or come to a meeting, then it’s a wasted skill. Inviting is a crucial bridge skill to getting eyes on your product/opportunity. Hopefully, your company has a push play video presentation that makes it easier, but you need to get those eyes in front of it and be able to introduce it properly so they will want to watch it. Rate yourself on your skill of follow up. Most sales do not happen until after the 6th or 7th interaction? Follow up is probably one of the most important skills you need. More people are lost from lack of follow up or improper follow up. All of these skills are important, but because of the statistics with people you must master the follow up skill! closing, no one is affected by what you have to offer. People lives are not changed until the close happens. If you feel pushy or salesy in closing, you’re not doing it right. Without the closing skill, there is NO Income. Rate yourself on the skill of getting your team started right. This again is so very important. You want to teach your team about these skills and make sure everything you do is duplicatable. Every new team member that you start off correctly will strengthen and build you a much stronger organization. You are in the business of creating LEADERS, not FOLLOWERS! Rate yourself on Promoting Events. This has always been my weakest area and I am constantly working on becoming better. This is one of the biggest tools your company offers for business growth so you need to learn the skill for taking advantage of this. There is a log of income in learning the skill of how to promote events. The key to this exercise is for you to be honest with yourself. There isn’t a passing or failing grade. 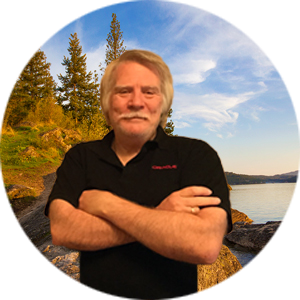 You need to take the time to sit down and do the evaluation and then take advantage of the incredible training that’s out there to increase your ratings in these Network Marketing Skills. If you really want to have success in Network Marketing and become a Network Marketing Pro then this is where you need to start First! Please be sure to TWEET THIS POST NOW! Sharing is caring. Another great value post Ron. These 7 skills are very valuable, once you have mastered them your network Marketing business will be a lot more lucrative..
Great post Ron! 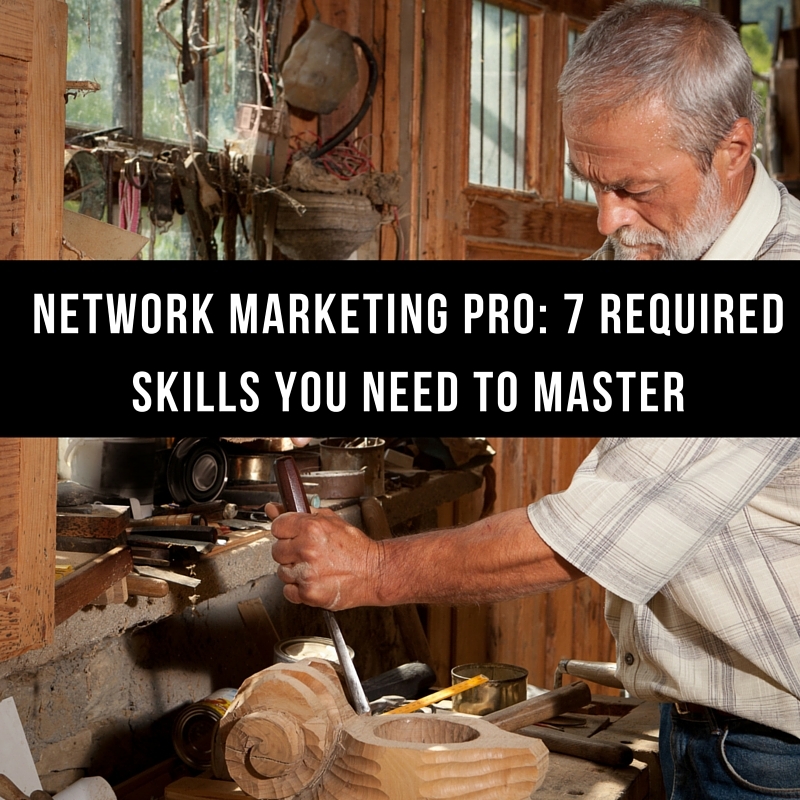 These are 7 important skills one must master if they really want to be successful in network marketing. I love Eric Worre “Go pro” book. Thanks for sharing! Mastering the basics makes you a master! Love this. Thanks Ron. Amazing tips!! Thank you Ron! Awesome and very practical tips Ron! follow up, I think is where people miss the boat. Thanks for sharing. Yes! You need to hold yourself accountable! Great post! I love this post, Ron! We have a great start in our job once we we have mastered the first skill in network marketing which is “finding prospects.” Thank you for your tips. Working on anything other than these is wasted energy and time. Thanks, Ron!